Yup… you guessed it! New Fall flavored treats!! 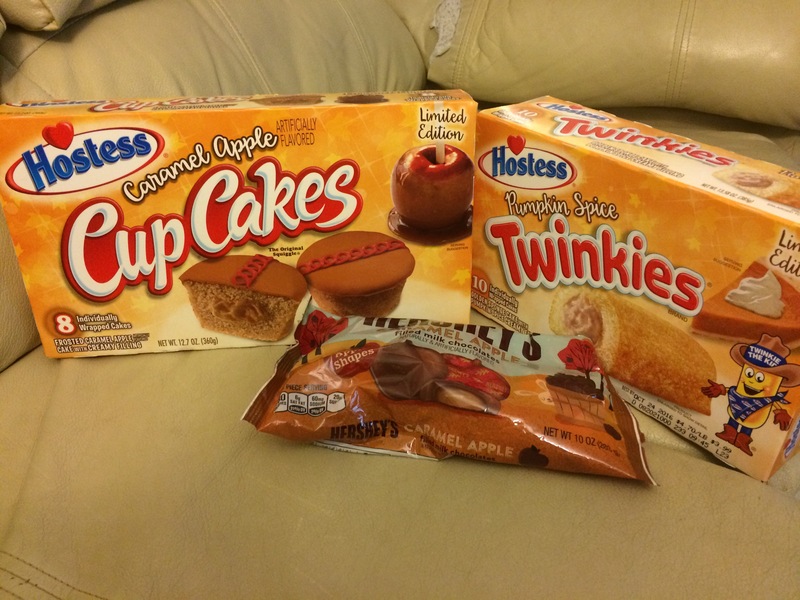 Hostesss cakes is offering Caramel Apple cupcakes and pumpkin spice Twinkies! Hershey’s has apple shaped caramel apple filled chocolates! If you read the last Fall Flavors, I had two yogurt brands. Both were delicious !!! Let me know if you have any questions on any of the items I’ve posted!